Before and after their studio is destroyed by an earthquake, Max's San Francisco band exorcises their demons with exotic grooves and the eerie cries of Mike Elias's lap steel guitar. 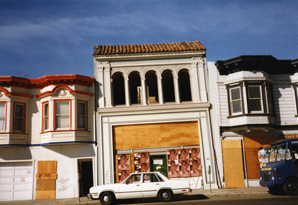 The Terra Incognita loft, in San Francisco, was damaged in the Loma Prieta earthquake of October 1989, condemned by the city, and demolished shortly afterward. 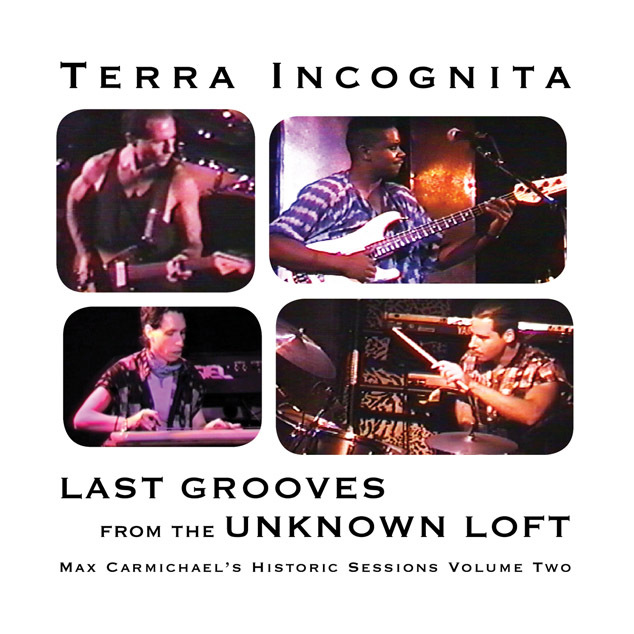 This volume features the best moments of jam sessions in the loft by the final incarnation of the Terra Incognita band during winter nights in 1988-1989 and 1989-1990, in between our gigs at clubs all over Northern California, before and after the quake. We hope you enjoy the exotic combination of Max's African-inspired electric guitar styles, the eerie slide guitar sounds of Mike Elias's electric lap steel, Wendell Rand's funky bass, and Michael Corbett's drum kit that includes Afro-Cuban conga and Nigerian talking drum. In the old cliche, new music is created by an individual composer or songwriter sitting alone with a keyboard or guitar. That's great for creating formulaic hits in an established genre, but it may not help the artist to learn new things, expand his or her horizons, or achieve breakthroughs. Music is primarily a social activity, and it thrives when the communal memory and imagination of a group flows together in the space between players, and even audience members, to create those magic, irreproducible moments that become the highlights of our musical experience. Knowing this, Max and his musician friends have always tried to record their jam sessions and parties with whatever technology was available, and dub the best tracks onto compilation tapes that they'd give titles – evoking the memory of the event itself – and share with each other. 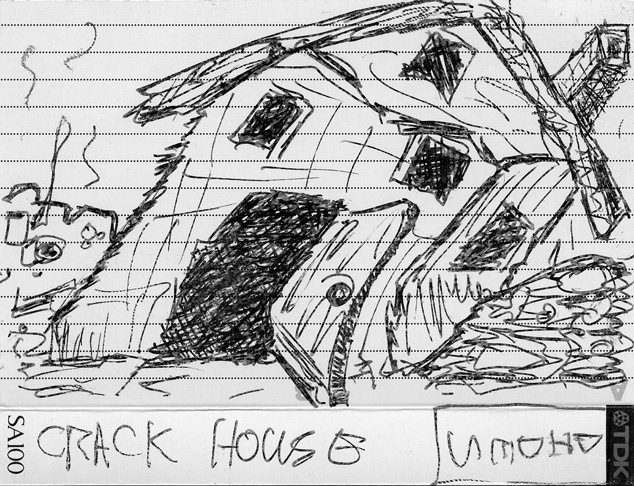 If they were camping out in the desert, they'd use a cheap battery-powered boom box with cassette tapes. In the early years of the Terra Incognita loft, they borrowed a friend's old reel-to-reel deck with 7" tapes, recording at low speed so they could play for 90 minutes at a time without changing reels. And when Sony launched its Pro series of compact, portable, high-quality cassette recorders, they adopted the rugged metal-bodied D6C, with its little stereo microphone, as the standard. Cassette tapes were perfect for sharing – a physical object, not too big and not too small, that they could decorate with handmade art. These compilation tapes were not the better-known "mixtapes" of commercial music, but collections of the musicians' own best work, to inspire them to keep going. After decades of balancing the conflicting egos of musicians in a long series of groups and struggling to survive as an artist in California's increasingly hostile economy, Max finally lost heart and decided to work alone. 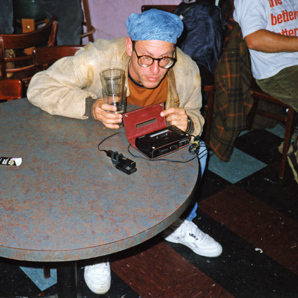 But recently, digging into his archives – two boxes containing hundreds of cassette tapes – he found buried treasure: dozens of hours of jam sessions he'd recorded but never had the chance to listen to afterwards. And he began to think of ways to distill these lost gems into the ultimate compilations of spontaneous music to share with his friends and fans. When you're truly improvising, you're going to make mistakes. And what seems to be a mistake at first, sometimes turns out to be a discovery. But professional musicians are trained to avoid mistakes, so they often lack the freedom or courage to improvise. Even in jazz, which is most people's only experience of improvised music, the players are following an established song structure and are only allowed brief solos in which to embellish on the composer's themes in familiar ways. In free improvisation, without an established structure, the mistakes are part of the discovery process. Non-musicians may sometimes find these raw, improvised tracks hard to listen to, but musicians know that we learn the most from work that challenges us.